- The two solar pieces are hand cut from 1.1mm sterling silver sheet. - The front part of the ear jacket measures 6mm in diameter (0.24inch) and has a sterling silver post soldered at the back. - The back part of the ear jacket measures 1.5cm in diameter (0.59 inch). 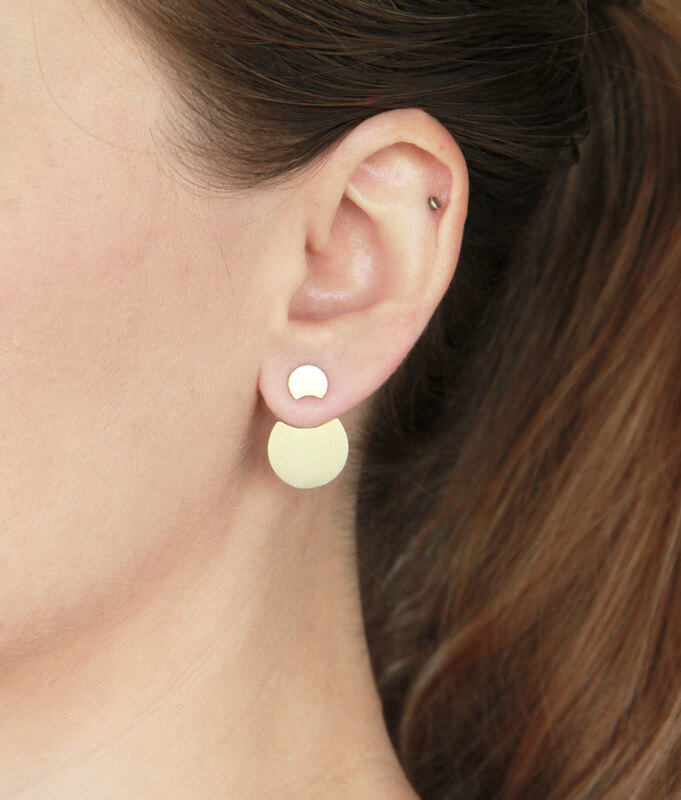 - Wear the front part first, then slip on the back part and secure with the earring stoppers. - These earrings are sold in pairs.